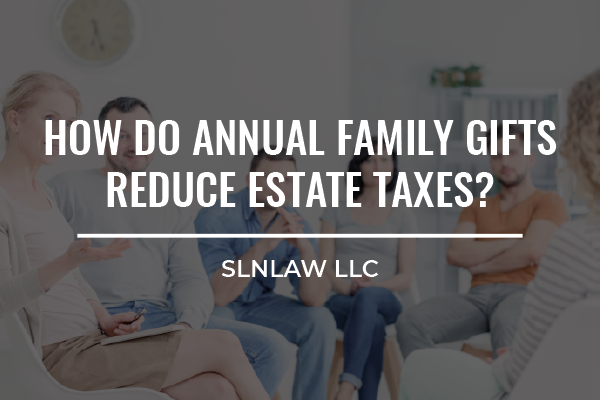 How Do Annual Family Gifts Reduce Estate Taxes? Annual family gifts reduce estate taxes for individuals who have funds that they want to turn into tax-exempt gifts. Shrinking your estate taxes is about making sure your hard-earned and meticulously-saved money will be used for purposes important to you — like paying for your grandchildren’s college educations — not going into government pockets. By starting to give your wealth away now, you minimize and avoid estate taxes that otherwise could eat up your wealth. If that sounds confusing, don’t worry. Here’s everything you need to know about how annual family gifts reduce estate taxes — plus some important financial changes this year. One way to reduce estate taxes is to cut the value of your estate by giving annual gifts. An annual family gift, often called an exclusion gift, is simple: It’s a gift that qualifies for annual exclusion from federal gift taxes. This means you won’t have to pay taxes on that specific amount. For example, if you are a parent or grandparent, you would be given an annual exclusion amount to gift, which you can give to an unlimited number of people like grandchildren, children, nieces, nephews, etc., during that year. Gifts aren’t restricted to family — non-family members can receive gifts, too. How Much Can You Gift to Reduce Tax? The amount is set each year by the IRS through a revenue procedure and is usually published in early November for the following year. The annual gift exclusion amount is $15,000 for this year. And married couples can combine their giving power to collectively gift $30,000 to one recipient. Currently, and through the remainder of 2018, the 2017 Tax Cuts and Job Acts increased the lifetime estate and gift tax exemption to $11.180 million per person. That means that you don’t pay any federal taxes on your estate until you’ve exceeded this limit. Also, you should know that annual gifts made during your lifetime don’t count towards this limit, unless you give more than the annual limit. For example, if you gift someone $20,000, the excess $5,000 will reduce your lifetime estate and gift tax exemption by that much – and you’ll owe taxes on it as well. There are various other ways to make sure you reduce estate taxes. One of our best suggestions? Create a trust with the help of an estate lawyer, and work on avoiding estate and gift taxes altogether. Want to give gifts to reduce your estate taxes this year? 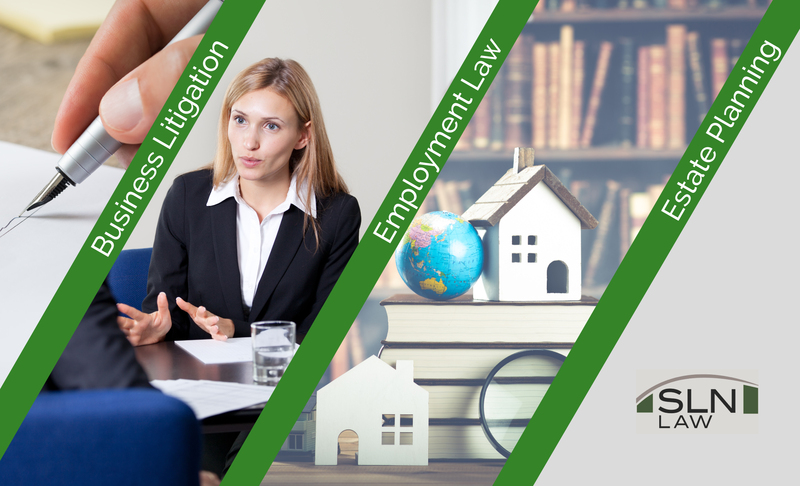 There’s still time to figure it out with an SLN Law consultation! Previous PostPrevious What’s the Difference Between Asset Protection and Estate Planning?